What is the epidural space in my back? The spinal cord runs within the bony structure of the vertebral column and is encased by a membranous sac called the dural sac. This sac contains spinal fluid that bathes and nourishes the spinal cord. The epidural space is the space between the outer surface of the dural sac and the bones of the vertebral column. 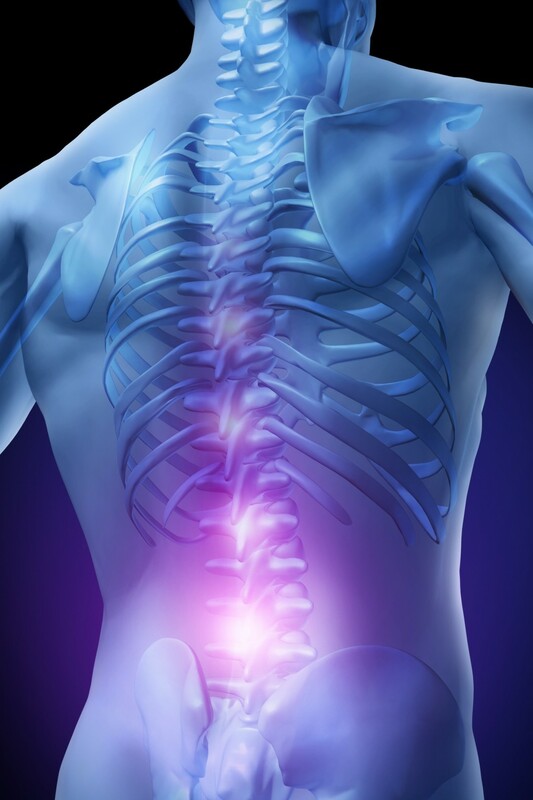 The term “epidural steroid injection” (ESI) refers to the injection of a corticosteroid into the epidural space of the vertebral column as a means of treating pain caused by irritation of the spinal nerves. There are two ways, in which an epidural steroid injection is believed to work. First, some leg pain involves the inflammation of one or more of the nerves, their covering, or their roots, in the back. Thus, the injection of steroids directly into the part of the spinal column called the epidural space is thought to aid in reducing this inflammation. The other way an ESI works is that the corticosteroid acts like a local anesthetic and block the pain long enough to allow the body to begin the process of repairing itself. The chief effect of an epidural steroid injection is to reduce pain, but the effect differs from person to person. Most patients will achieve good relief for months after the injection. The goal of your injection is to provide relief so you can begin an appropriate exercise program and return to normal activities/work. You should not eat or drink 4 hours prior to your procedure. Please bring your MRI films with you on the day of your procedure. You will be positioned on a special bed designed for this type of procedure. An IV will be inserted into a vein to administer IV medication, if needed. Local anesthetic will be injected into the skin and underlying tissues to decrease the discomfort of introducing the epidural needle. Will I need more than one epidural steroid injection? Approximately 40% of patients will receive significant pain relief with only one injection. Others require two or three injections to receive maximum symptomatic relief. The injections are usually scheduled at 2-week intervals. Even if epidural steroid injections provide relief, only in exceptional cases would more than three injections be justified within a six month period. What should I expect after the epidural steroid injection? You should not drive the day of the procedure. You will experience leg weakness during the first 24 hours following the procedure. To prevent falling, it is important to have someone help you walk. However, you do not need to stay in bed when you get home. In fact, it?s best to walk around if you feel up to it, but you will need assistance during the first 24 hours following the epidural steroid injection. Even if you feel better right away, avoid activities that may strain your back. After your injection you should feel the same or better for the first 12 hours. The local anesthesia will then wear off and you may experience a return of your pain. The steroid will start working within three days of the injection, with maximal relief at one week. We will contact you one week after the procedure to monitor your pain relief. Keep in mind most patients feel increased pain for the first 24 hours. You should start feeling some pain relief 2-3 days following the injection. This is because the steroid will start working within three days of the injection, with maximal effect by one week. At that time, we will evaluate your pain level to determine the need for another steroid injection.